Got a philosophy exam coming up? 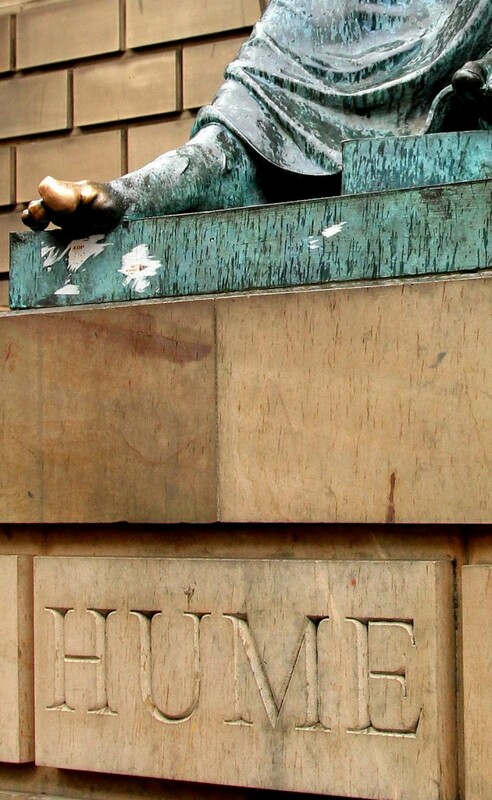 In Edinburgh, the monumental way to good luck is to rub the big toe of philosopher David Hume’s statue. Which is weird enough in and of itself — really? A big toe totem? — but all the more so because Hume, author of “A Treatise on Human Nature,” was dead set against superstition and would presumably have been quite disturbed by the practice. 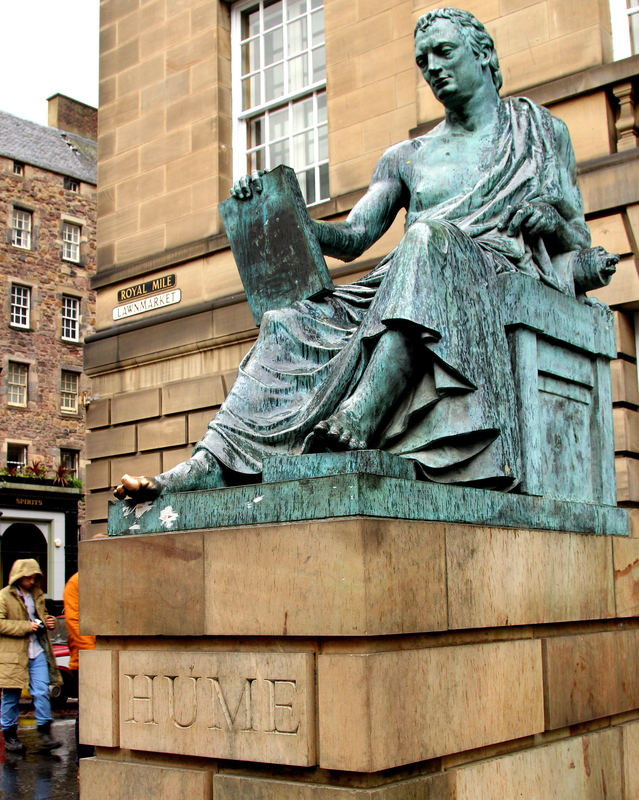 Although the luck is supposed to be limited to philosophy students looking for extra help on tests, on a recent visit to Edinburgh it looked to me like all sorts of people were touching the statue. Still, I guess it’s better than the fate that befell the “Adam” statue at the Time-Warner Building in New York. That fellow had a small but prominent male member at just about eye level that drew the caresses of passersby.